Today we will be writing on ABU Zaria Postgraduate Schools Fees. Ahmadu Bello University which is otherwise known as (ABU ZARIA) has become one of the best tertiary institutions in Nigeria. So today’s article is all about this above-named school whereas we will talk about the postgraduate school fees and all the postgraduate courses as well as the registration portal. 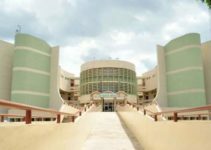 The ABU Zaria has been rated as one of the best universities in Nigeria just because of their reduced school fees and their clean and attractive environment. Who is a postgraduate student? A postgraduate student is referred to as a person who learn or study for a professional degree, academics or professional certificates, academics or professional diplomas and some other qualifications for which bachelor’s degree is required generally, it is usually known to be part of the higher education. follow us patiently as we give the full ABU Zaria Postgraduate Schools Fees. Whenever you are making attempt to apply, don’t forget that first of all you will have to purchase an application form. And again if you are applying for the postgraduate diploma, it will cost #10500. Once you have gained your admission, you will be given the grace of just two weeks to pay up your acceptance fee. Although all the fees paid for a master’s degree at a particular department in the faculty of sciences is not the same as the other faculties, which means all students pay different fees in respect to their courses. in the next sub-topic, we will list ABU Zaria Postgraduate Schools Fees. ACCEPTANCE FEE: The Sciences are to pay the sum of #50,000, the PGDs are also expected to pay the sum of #50,000 while the Master’s degree are to pay the sum #50,000. In the case of acceptance fee, all students are to pay the same amount of money. The PGDs are also liable to pay the sum #25, 000 while to the Sciences they are to pay the same price which is #25,000. TUITION FEE: The PGDs are to pay the sum of #150,000, the Sciences are to pay the sum 250,000 while the Master’s degree are to pay this certain amount which is #200,000. COMPUTER SCIENCE: The PGD students who fall into the computer science department are to pay some of #25,000 and for those in Science who tends to study computer science are to pay the sum of #30,000 while to the master’s degree student they are to pay the sum of 25,000. INTERNET SERVICE: in this case, the Sciences are to pay the sum of #30,000, the PGDs are to pay the sum of #30,000 while the master’s degree is to pay the sum of #30,000 also. HEALTH CARE: For health care, master’s degree is to pay the sum of # 25,000, and again the PGDs are also to the sum of #25,000 while the Sciences are to pay the sum #25,000. DEVELOPMENT LEVY: In this case, the PGDs are to #100,000, the Sciences are to the sum of #100,000 while the same thing is applicable to the Master’s degree, they are to pay the sum of #100,000. During the third semester, Sciences are to pay the sum of # 205,000 whereas PGD (I.e.) the postgraduate diplomas are to pay the sum of 152,500 and the Master’s degree are to pay the sum of 177,500 this is only for the third semester. 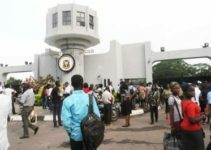 And during the fourth semester, student for PGD is to pay the sum of 152,500, the Sciences are also liable to pay the sum of 177,500while the Master’s degree students are to pay the sum of 177,500. Oral examination fees, sciences are to pay the total sum of 150,000, the PGD’s are to pay the sum of 100,000 while the Master’s degree student is to pay the sum of 150,000. Alumni Dues/Year Book PGD’s are entitled to pay the sum of 20,000, Sciences are to pay the sum of 20,000 same things to apply to the master’s degree students. Graduation fees are very paramount although all the payment listed above are all compulsory because of no complete payment no certificate. Therefore, PGDs are to pay the sum of 20,000 and the Sciences are to pay the sum of 30,000 while the master’s degree students are to pay the sum of 30,000. The total fees which have been listed above are as follow; we have the PGDs total sum of money to pay is #140,000 and the sum total for Sciences is #200,000 while the Master’s degrees are to pay the sum total of #200,000. And again the ABU Zaria has a student from different countries to study in the university, this has made ABU Zaria the best school in Nigeria. For the international student, tuition fees they are to pay is as follows; for the Post Graduate Diploma $4500 and for the Master’s degree in science are to pay the sum of $5950 while the master’s degree cost $5100. Note that failures to pay for your fees within the period of time given to you will surely lead to the addition of extra charges and it may also cause the candidate to be unable to seats for the examinations. so, we have reviewed ABU Zaria Postgraduate Schools Fees. Candidates can kindly create an account with their personal details which are the surname, first name, middle name, your date of birth, password and many more. Here is the website of which candidate can make their registration. ABU Zaria registration portal is known as “http//.www.abu.edu.ng” you can do a lot of things on this website, you can make payment on this same website. So through this website candidates can apply for any courses they are aspiring for. so, you can pay your ABU Zaria Postgraduate Schools Fees on this portal and many more. 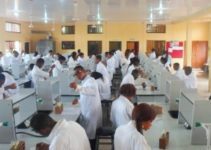 ABU Zaria is the only tertiary institution which is able to admit people from other countries; this has made ABU Zaria the best tertiary institution in Nigeria. Today, I believe we have learned so much about ABU ZARIA POSTGRADUATE SCHOOL FEES AND REGISTRATION. Don’t forget that if you have logged into the ABU Zaria registration portal, you will have created an account first with your personal details which are the surname, first name, middle name, date of birth and many more, before you will proceed on your registration process. And also we have talked about the ABU Zaria registration portal which is “http//.www.abu.edu.ng”. Through this website, you can make your payments as well as your registration. In Nigeria, there is no tertiary institution which has no website. We have also talked about different fees candidates are to pay for their entry to the ABU Zaria part of them are the Development levy: The Master’s degree is to pay for the sum of #25, 000, The PGDs are also liable to pay the sum #25, 000 while to the Sciences they are to pay the same price which is #25,000. We also made mention of the Acceptance fee: The Sciences are to pay the sum of #50,000, the PGDs are also expected to pay the sum of #50,000 while the Master’s degree are to pay the sum #50,000. In the case of acceptance fee, all students are to pay the same amount of money. Many of them have been mentioned above. so that is all you need to know about ABU Zaria Postgraduate Schools Fees.